It is difficult to imagine a bath without furniture, and the table in such a room should be necessary. 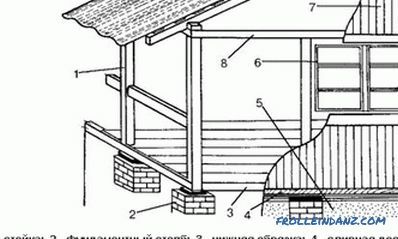 And if you have already erected a bathhouse on your own, you can build a table very easily. It should be noted that the presence of this element does not directly affect the functionality of the room, and yet the table is a necessity. Furniture for the bath is best made from aspen or linden. After all, a bath is a great place to relax, and so you and your guests will be pleased to drink a cold beer or soft drink, play board games. And where does all this fit with comfort and maximum convenience? Therefore, we make a table in the bath with his own hands. Drawing table for a bath. In addition, you will need to buy glue for wooden surfaces, try to find wooden nails and the main material for making your table - boards. Their sizes are required different. Buy 2 pieces of 850x25 mm, you will also need 4 pieces of 1680x100 mm, 2 pieces of 1530x100 mm, as well as 4 boards of 750x100 mm. Having delivered everything you need to work, we proceed to making a table for a sauna and a bath. We start with the fact that we collect the table frame. These are 2 end boards, their size is 850x100x25, and also 4 longitudinal ones with a size of 1680x100x25. 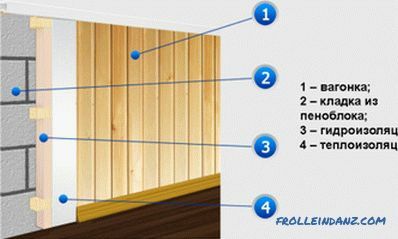 Longitudinal boards should be placed on a flat surface, but the end plates should be attached to them with self-tapping screws and glue. Remember that the frame may skew, so periodically carry out measurements on the diagonal. How to ensure the table maximum strength and at the same time hide the places where the legs are attached? To this end, we install additional boards on the sides, 1530x100x25 mm. Scheme of assembling the table for a bath. Having completed the first stage, we begin to build a tabletop, here we are already taking boards 950x100x25 mm. In this case, it will be better if you nail them with wooden nails. If it does not work, attach the boards with self-tapping screws. Please note that here between the boards a gap of 5 mm is required. As for the protrusion on the edges, it should not exceed 25 mm. The last step in the guide, how to make a table for a bath, is to mount the legs. 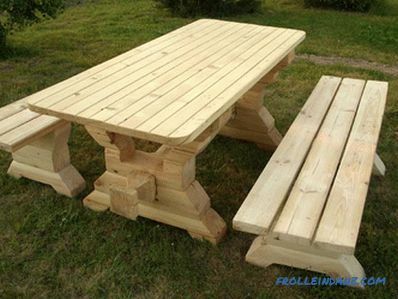 You can connect using bolts, in which case the table can be easily folded and transported if necessary. You should know that when using fixers made of metal, such as screws, bolts, nails, you need to make a small recess to close up the putty on top. Do not forget that the metal heats up quickly and you can get burned while relaxing in the sauna by accidentally touching such a site. What kind of wood to choose? Different materials for the table are used, they often take the ones that are at hand. But there are the most suitable, which experts recommend using for bath furniture in the first place. These include larch, alder, perfectly fit birch, oak, ash. If nothing else, you can use a pine. 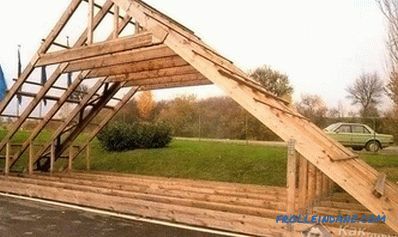 As you know, pine belongs to the category of the most affordable lumber. But we must not forget that this wood is not moisture resistant, so pine furniture can only be used in the bath rest room, on the terrace. 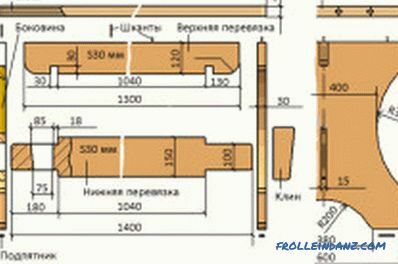 A number of requirements are imposed on the wood used for the bath. 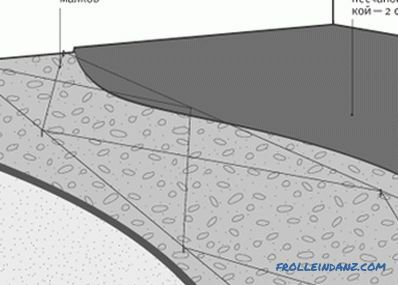 So, the tree should have a small thermal conductivity, to be dense in structure. It is important that the material you choose is easy to process; there must be a minimum amount of tar in the composition. 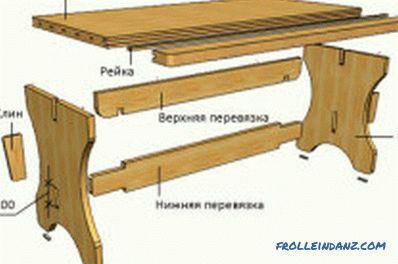 In addition, choose boards for the table, not having knots and other defects. All these items are very important, because the furniture in the bath has contact with the bare skin of a person, therefore special security is required. In the manufacture of furniture with his own hand, you can show imagination and decorate the table that is already ready to be carved, which will make it more decorative and stylish.